Abrasive grit ‘anti-slip’ products with self-adhesive backing available in tapes, cleats and tiles. Gripfoot Tape – versatile for floor surfaces, machinery, vehicles and marine use. 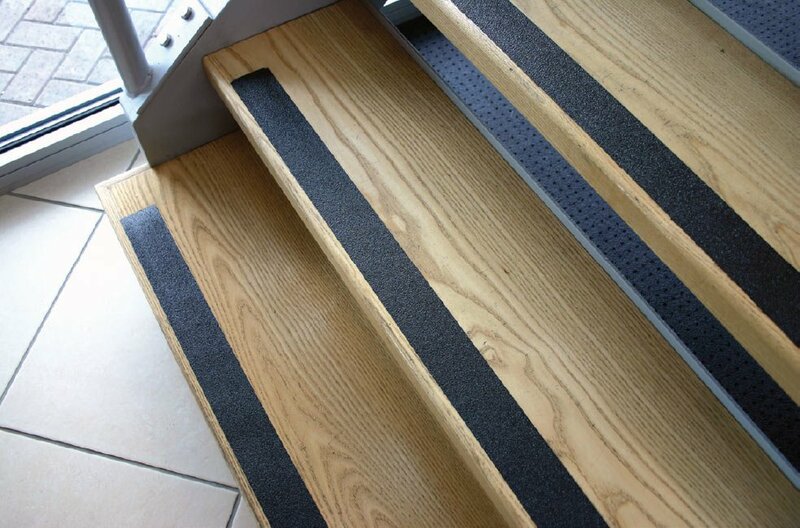 Gripfoot Cleats (rectangular) are designed for use on steps and stairs. Gripfoot Tiles (square) are ideal for increasing safety on smooth, tiled floors. Material: Abrasive grit consisting of aluminium oxide bonded to a polymer substrate. Solved based emulsion adhesive backing. Product supplied with a moisture resistant release liner. Typical Applications: Suitable for stairs, ladders, ramps, walkways, vehicles and boats. This item has 88 views.